Interviews are challenging. How do you convince someone to hire you for a job? That you’re the best candidate they’ve got? How do you maintain your composure while presenting your best self? Well, hate to break it to you but, phone interviews are an entirely different beast. How do you convince someone of these things when you’re not even meeting in person? 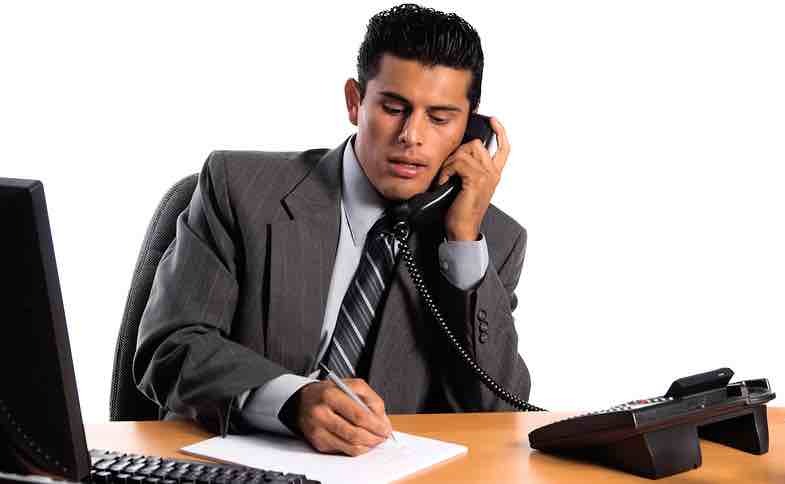 It is pretty common to have a phone interview before being invited to meet in person. It’s essentially a screening process that companies use to narrow down the pool before deciding who is worth meeting. When applying for learnerships or any professional job post-university, it is quite likely that you will experience several of these “meetings.” So, how do you ace the phone interview to make it to the next step? Don’t take the call on your couch. Create the right environment by setting up a ‘workspace’ at which you can sit and take notes. This space should be quiet and free of distractions, so if your kitchen table is the best you’ve got, ask your family members or roommates to kindly excuse themselves for the duration of the call. If this isn’t realistic, talk to a teacher, career counselor or librarian about snagging an empty classroom or meeting room. The last thing you want is to have inappropriate noises or conversations in the background. Don’t let a poor signal or a low battery ruin your call. There’s nothing worse than being in the middle of an important conversation and getting nothing but silence on the other end of the line because you didn’t realize the call dropped. There’s nothing more stressful than getting that “low battery” beep and frantically searching for a charger before your phone dies. Why risk these things happening when you could be speaking with your future employer? Play it safe by finding a reliable landline. This is a necessity for any type of interview, whether over the phone or in person. You may think you’re taking the easy route by having the conversation over the phone but that doesn’t mean you are safe from the, “what do you know about our company?” question. Your interviewer will expect you to know a few things about the company’s objective and background, so read up! You can also use the points that you learn to frame questions that show you did your research and are genuinely interested. This includes a copy of your cover letter, your resume, any notes you took during your research of the company, and a list of questions to ask the interviewer. Why did you apply to this job? What interests you? Give me an example of a professional or academic challenge you have faced and how you overcame it. What is the earliest you could begin, if hired? Having an idea of what you would say if asked will make it easier if you get caught off-guard. The saying typically goes, “dress for the job you want, not the job you have” in reference to how you should present yourself in a professional environment. Just because you won’t technically be IN a professional doesn’t mean you should don sweatpants and unwashed hair. Dressing professionally will make you act professionally. It will give you confidence, make you sit taller, and speak clearer. You’re going to have to dress this way when you land the job, so you might as well start getting used to it. One of the biggest things you can do to hurt yourself in any interview, let alone a phone interview, is to swallow your words. Don’t talk too fast, don’t mumble, and don’t use slang. You may feel comfortable enough to joke around with your interviewer, which is fine to an extent, but don’t talk to them like they’re one of your buddies. They shouldn’t strain to hear you, they shouldn’t ask themselves, “did he really just say that?”, and they certainly shouldn’t get the vibe that you can’t hold a professional conversation. It’s OK to be a little nervous, but you should practice speaking slowly (you’ll feel like you’re talking slower than you actually are), and enunciating your words. This is even more important for a phone interview than it is for an in-person interview because you won’t have the face-to-face connection. This may seem obvious, cause well… you’re on the phone. However, if you tend to be chatty you may find yourself dominating the conversation. Confusing, sure, because you’d think that an interviewer would want you to talk a lot, but there is a difference between leading the conversation and talking so much that you aren’t listening to what they have to say. Don’t forget that an interview goes two ways – they’re deciding if they want to hire you and you’re seeing if the company would be a good fit for you. Ask follow-up questions to reestablish your interest in the company, pay close attention to their answers and take notes! You were one of few people to make it this far, so be sure to thank your interviewer for their time at the end of the conversation. After 24-48 hours have passed, send a thank you note in the mail, even if they get in touch with you with a “yay” or a “nay” first. It can be really easy to not take a phone interview seriously. Prepare yourself and get that second call!